Below are the different varieties of frozen meals we offer. Each individually packaged and sealed frozen meal is priced at $6.00. 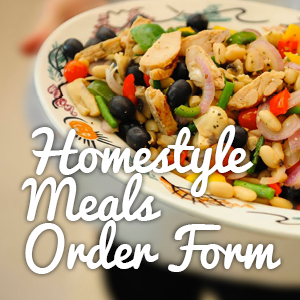 For more information about ordering and payment see the ‘Home Style Meals‘ page under the Outreach drop-down menu order click on the graphic to the right to order your menu. Note: As of September 1, 2013 NO SUBSTITUTIONS IN FROZEN MEALS.